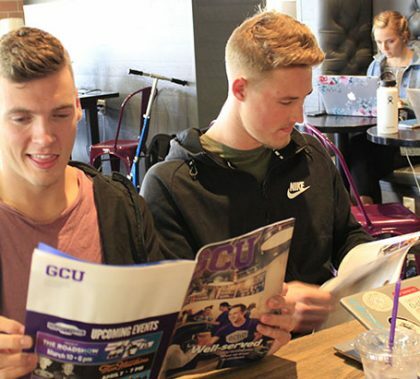 The Class of 2019 got to GCU at a time when the campus was starting to really grow. 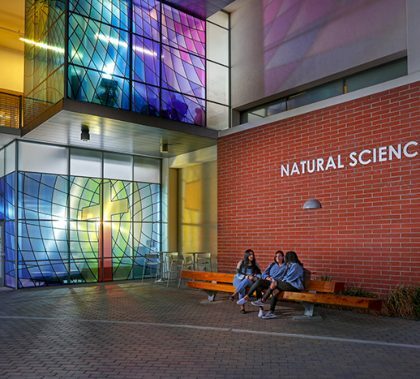 The soon-to-be graduates have a lot of thoughts about what they’ve seen. 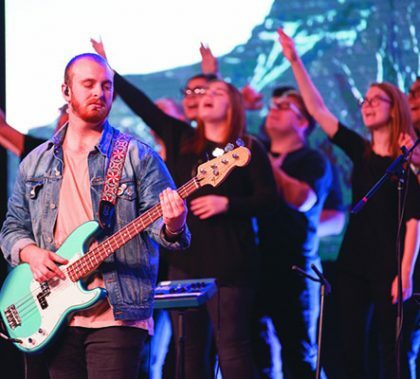 The final Chapel of any semester is an opportunity for the Worship team to perform longer and get the crowd into it even more. 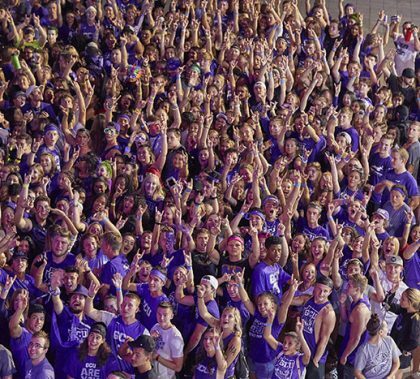 But what happened Monday in GCU Arena went far beyond that. With the incredibly talented Katie Brown leading the way, the musicians delivered a performance that made this one of the most memorable Chapels ever. 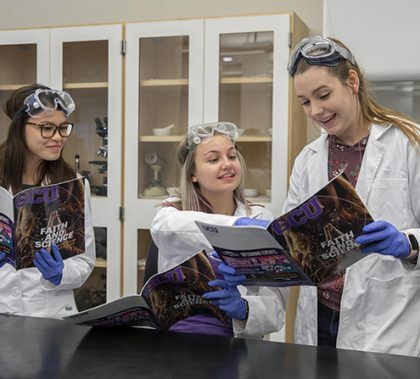 The February issue of GCU Magazine has been distributed to the purple bins across the main campus and at 27th Avenue, and it features an in-depth look at the GCU enterprises that have become game-changers for both students and local residents. 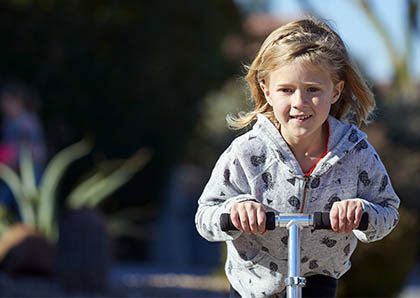 Gwyn Satterlee, 7, cartwheels along the mat — and cartwheels and cartwheels — at her Chandler gymnastics studio. But it wasn’t long ago when the young gymnast didn’t have enough energy to do even one cartwheel. She was just 4 years old when she was diagnosed with leukemia. 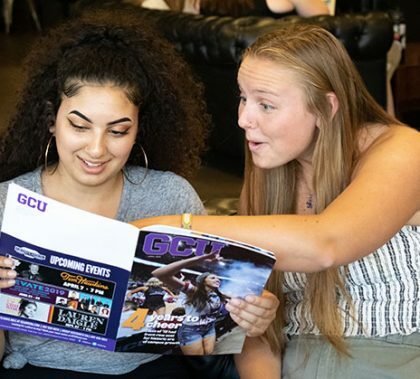 This year, she will serve as the honorary race starter for the 2019 Children’s Cancer Network Run to Fight Children’s Cancer, headed to the GCU campus for the ninth year on March 16. Monday’s Chapel was unusual. The Worship Team got the week off, but there still was plenty of great music — oh my, was there ever. 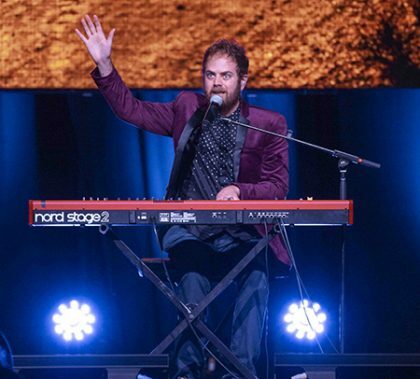 Scott MacIntyre of “American Idol” fame was the guest speaker and, in between a half-dozen songs, delivered his message about making the most of the talent God has given you. MacIntyre certainly has — he’s blind. 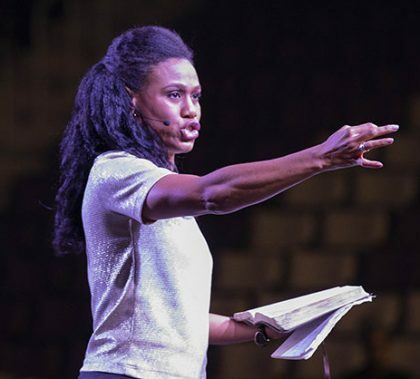 Priscilla Shirer drew a huge crowd to her appearance Saturday at GCU Arena, and it’s no wonder: Her down-to-earth talk shows why so many women have tuned into her work. “I love her transparency. I love how she’s a normal mom. 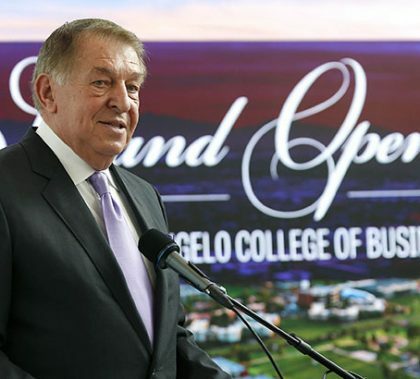 She’s folding her own clothes,” one attendee said.